Gardening is a fantastic activity that everyone in your family will enjoy, especially your children. It is the perfect way to spend several days a week working together outside in the fresh air and sunshine. Gardening is also great for instilling a sense of responsibility, cooperative learning and excitement in your child. Not to mention, when all is said and done, you are left with a beautiful bounty of fresh, organic foods that your family grew together -- and will enjoy eating together. The key to getting your child super excited about gardening is choosing fruits and vegetables that are easy for them to grow. You want them to have a successful experience gardening, and it helps when the produce they are growing is relatively foolproof. I have planted many different types of fruits and vegetables with my son over the year and have found 7 items that are tried and true when it comes to gardening with children. Several of these plants can be grown inside (in a sunny window or patio), if you're a city dweller. Read on to learn the 7 easiest fruits and vegetables to grow this spring with your children -- and get planting! I think that the catch-phrase “easy peasy” came about because peas are just so easy to grow. They can be started inside using homemade recycled newspaper pots, organic compost and seeds – making for an amazing spring afternoon activity. Just remember that the seeds are poisonous, so don’t let your child put them in their mouths, and wash their hands after handling. 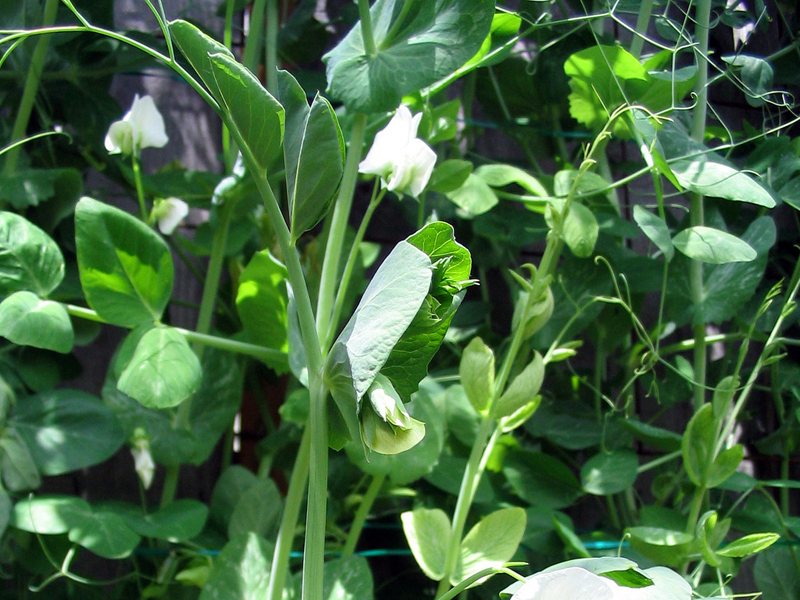 Peas are a lot of fun to grow because you can grow them up a trellis and they flower, which means your little ones can pick the pretty little flowers and bring them inside to enjoy on the dining room table. The best part about peas is that they will continue to grow all summer long – allowing for a few months of gardening fun with your children. Sunflowers are fun to grow because they can reach heights up to 15 feet tall. The very size of these flowers will spark your child’s imagination and they won’t be able to get over how tall they really grow. They come in a variety of colors and sizes – and there are even dwarf versions that you could grow in a small space garden or super sunny window. Sunflowers do need full sunlight – which makes them easy to plant in your yard. You won’t have to worry about finding a spot that isn’t too sunny! The best part, when all is said and done, the sunflower seeds can be eaten, or if you would like to leave them in the yard, they will attract a variety of birds to your yard to feast on the seeds. Who doesn’t love strawberries? They are like nature’s sweet candy! 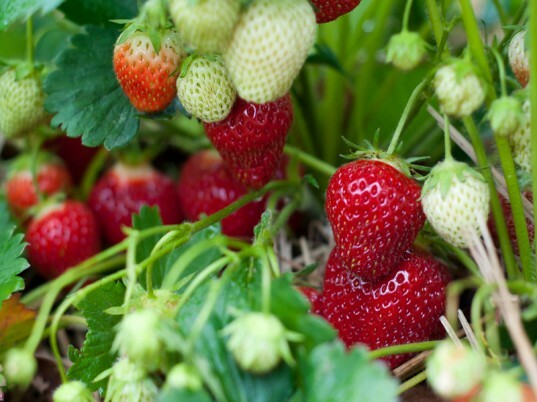 Strawberries are perfect for children, because harvesting them is like a treasure hunt and your children will want to come out to the garden every day to peek underneath the leaves. Strawberries that you grow at home are sweeter than the ones that you will find at the grocery store too. Strawberries can be grown in any part of your yard and can take up either a small or large space depending on what you have available. The best part, after you rinse the strawberries off, you can enjoy them in the backyard with fresh, homemade whipped topping or take them inside to enjoy as a snack, in salads or as a dessert! Cabbage is fun for children to grow for one simple reason – some varieties will grow giant, over-sized heads reaching up to 50 lbs. That alone is plenty of reason to give growing cabbage a shot with your children. 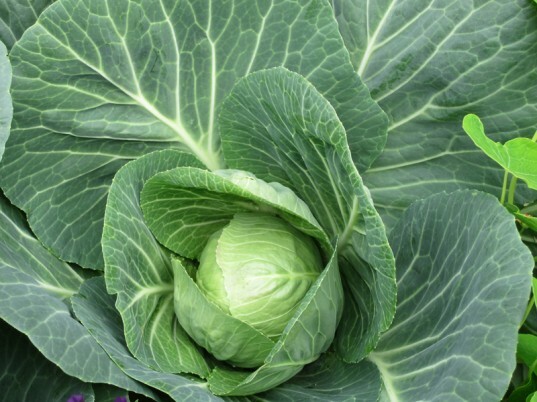 Cabbage can grow to an incredible size in as little as 10-12 weeks too, which makes the process even better. My son always loved growing cabbage when he was younger because he thought the heads looked exactly like Audrey from Little Shop of Horrors. The best part, when the cabbage is ready to harvest, you can make an amazing summer coleslaw to enjoy with your children. Radishes are super fun for children to grow because they grow quickly and are so easy to care for that even the tiniest of tots can get in on the gardening fun. They are ready to harvest in as little as 25 days, and because of their short growing period and the size of the plant, they are the perfect plant for a container garden. Just remember that one radish seed yields a single radish – so plant enough to yield a healthy harvest. Your children will delight in pulling the radishes out of the soil when they are ready to be harvested. The best part, even though radishes are tart and have a spicy flavor – they are amazing cooked in butter, so much so that even your picky eater will enjoy them. The best part – a baked potato bar instead of Friday pizza night with the kids – have a spread of fresh vegetables and condiments to top a baked potato and your children will love growing them every season. Walking Stick Kale is fun to grow because at the end of it’s life-cycle you are left with a perfect walking stick. Simply strip the kale of its leaves, branches and roots, and sand it to perfection. Your child will be left with the perfect walking stick for your family’s summer hikes. Walking Stick Kale is also fun because it can grow up to 10 feet tall – and will give your child visions of a real life Jack and the Beanstalk. The best part, you can grow an endless amount of Kale in 1 square foot of space and the leaves are edible too! What is your child’s favorite fruit or vegetable to grow in the garden? I think that the catch-phrase "easy peasy" came about because peas are just so easy to grow. They can be started inside using homemade recycled newspaper pots, organic compost and seeds - making for an amazing spring afternoon activity. Just remember that the seeds are poisonous, so don't let your child put them in their mouths, and wash their hands after handling. Peas are a lot of fun to grow because you can grow them up a trellis and they flower, which means your little ones can pick the pretty little flowers and bring them inside to enjoy on the dining room table. The best part about peas is that they will continue to grow all summer long - allowing for a few months of gardening fun with your children. Sunflowers are fun to grow because they can reach heights up to 15 feet tall. The very size of these flowers will spark your child's imagination and they won't be able to get over how tall they really grow. They come in a variety of colors and sizes - and there are even dwarf versions that you could grow in a small space garden or super sunny window. 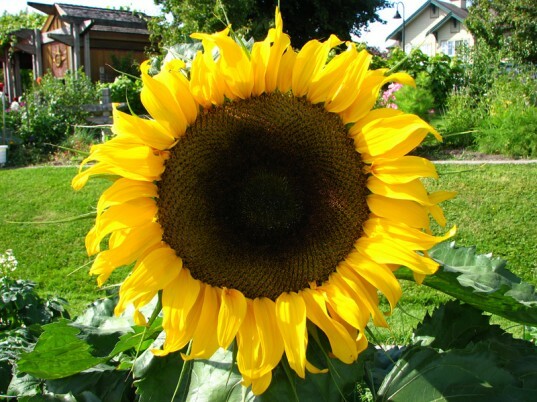 Sunflowers do need full sunlight - which makes them easy to plant in your yard. You won't have to worry about finding a spot that isn't too sunny! Who doesn't love strawberries? They are like nature's sweet candy! 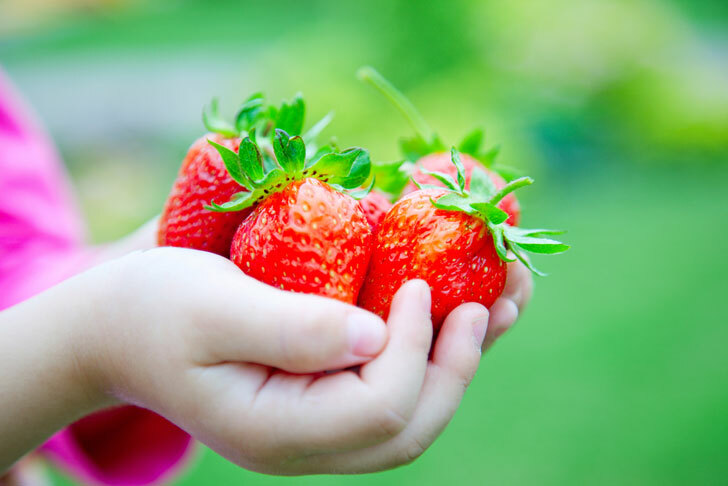 Strawberries are perfect for children, because harvesting them is like a treasure hunt and your children will want to come out to the garden every day to peek underneath the leaves. Strawberries that you grow at home are sweeter than the ones that you will find at the grocery store too. Strawberries can be grown in any part of your yard and can take up either a small or large space depending on what you have available. Cabbage is fun for children to grow for one simple reason - some varieties will grow giant, over-sized heads reaching up to 50 lbs. That alone is plenty of reason to give growing cabbage a shot with your children. 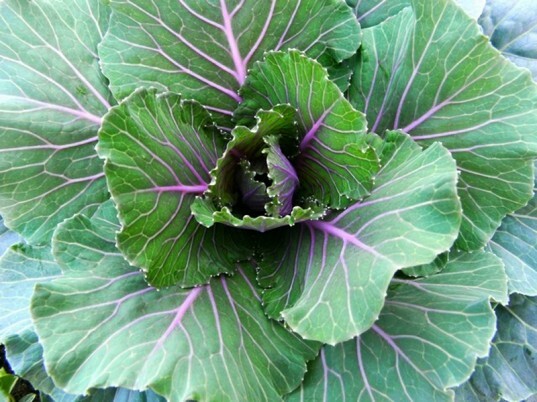 Cabbage can grow to an incredible size in as little as 10-12 weeks too, which makes the process even better. My son always loved growing cabbage when he was younger because he thought the heads looked exactly like Audrey from Little Shop of Horrors. Radishes are super fun for children to grow because they grow quickly and are so easy to care for that even the tiniest of tots can get in on the gardening fun. They are ready to harvest in as little as 25 days, and because of their short growing period and the size of the plant, they are the perfect plant for a container garden. Just remember that one radish seed yields a single radish - so plant enough to yield a healthy harvest. Your children will delight in pulling the radishes out of the soil when they are ready to be harvested. 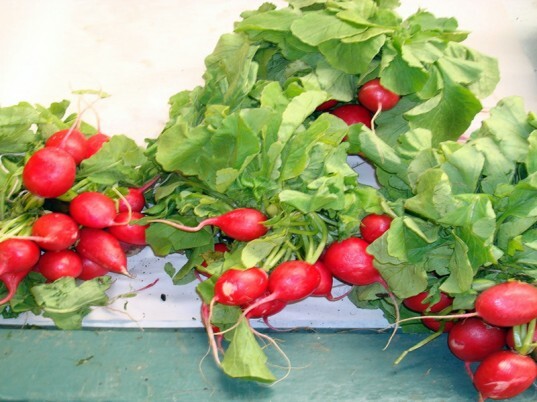 The best part, even though radishes are tart and have a spicy flavor - they are amazing cooked in butter, so much so that even your picky eater will enjoy them. 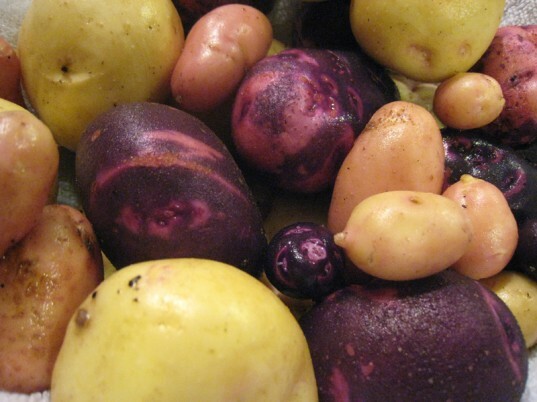 The best part - a baked potato bar instead of Friday pizza night with the kids - have a spread of fresh vegetables and condiments to top a baked potato and your children will love growing them every season. Walking Stick Kale is fun to grow because at the end of it's life-cycle you are left with a perfect walking stick. Simply strip the kale of its leaves, branches and roots, and sand it to perfection. Your child will be left with the perfect walking stick for your family's summer hikes. Walking Stick Kale is also fun because it can grow up to 10 feet tall - and will give your child visions of a real life Jack and the Beanstalk. What is your child's favorite fruit or vegetable to grow in the garden?